According to Trip Advisor, Harbor Springs is the third most searched vacation destination in the Midwest. 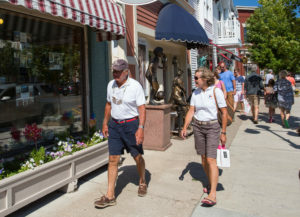 The Lake Michigan community of Harbor Springs has offered visitors unparalleled scenic beauty, small town charm and a picturesque setting for generations. This wonderful “slice of heaven” will offer you exceptional galleries and outdoor events & festivals. Spend the afternoon at the sandy beach in town or bike ride along the shores of Little Traverse Bay while you admire the gorgeous homes in Wequetonsing. You will find so much to see and do in Harbor Springs…under 10 minutes from Trout Creek. 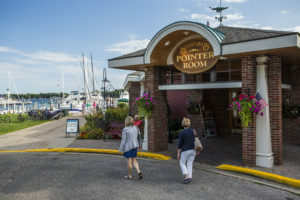 Visit the Harbor Springs Chamber of Commerce for a wide variety of area information including photos, calendar of events and all that you need to plan your next vacation to Northern Michigan. As recently stated by local artist Gail Hosner, “Here there’s a simplicity that frees an artist’s mind, so they can focus on the beauty around them.” Audrey Shapiro, says that she was drawn to the area because the water and empty spaces were sources of inspiration for her. “Either it’s the wide expanse, the colors, the sounds, just all your senses are awakened when you’re by the water. It’s just where I can be the calmest and stop my brain from chattering.” Painter Trisha Witty of Harbor Springs & the Witty Galerie, added that “artists in Northern Michigan are fortunate to be able to make a living.